Long-distance direct current lines are connecting rural renewable energy sources to urban areas. Beginning in the 1880s, the personal and professional feud between Thomas Edison and Nikola Tesla became a team sport. Business leaders and other scientists joined in the chant, battling over the creation of the electrical grid of the growing United States: would it rely on direct current (DC) or alternating current (AC)? 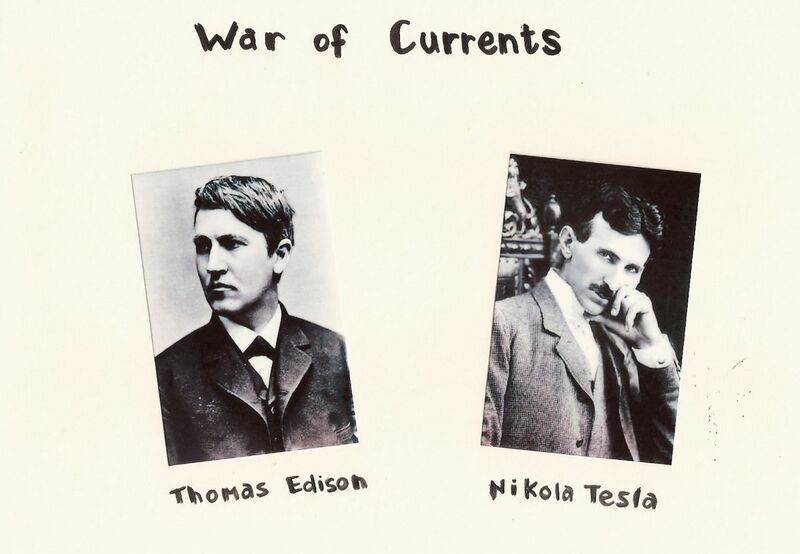 The War of the Currents was fought as wars typically are, with dirty tricks on the ground. Edison, whose DC patents were earning him a nice income, had a vested interest in DC being the answer to the riddle of the grid, and indeed DC was the earliest standard in the U.S. However, DC is not able to convert to different voltages easily. Tesla both hated Edison and knew that AC was the answer to this problem. AC changes directions periodically, in the U.S. 60 times per second. It is easy to change voltages using a transformer, and it can power much larger areas, while DC was pretty much stuck within a one mile radius of the source. While Edison resorted to electrocuting stray animals to keep the public in fear of AC, the Chicago World’s Fair really decided the issue in 1893. General Electric and George Westinghouse competed for the contract to power the fair. GE could have done it using DC for $554,000, but Westinghouse only needed $399,000 to power the fair with AC — and this turned the tide. By 1896 GE was also using AC, and the rest is history. By the 1970s, power transmission technology improved, making DC an attractive option once again. For lines greater than 300-500 miles, DC is able to outcompete AC, going the distance without power loss. Today, DC is making a comeback, thanks to renewable energy sources. Many of them, such as large wind farms and solar arrays, are in rural areas, away from city centers. These sources also naturally produce DC power, which is what many household devices run on. Electronic devices, including computers, flat screen televisions, LEDs, microwaves, and some variable speed devices with DC motors like fans, all run on internal DC power. In fact, up to 50 percent of total household power consumption may be DC power within 20 years. All of these factors fuel renewed interest in DC power. 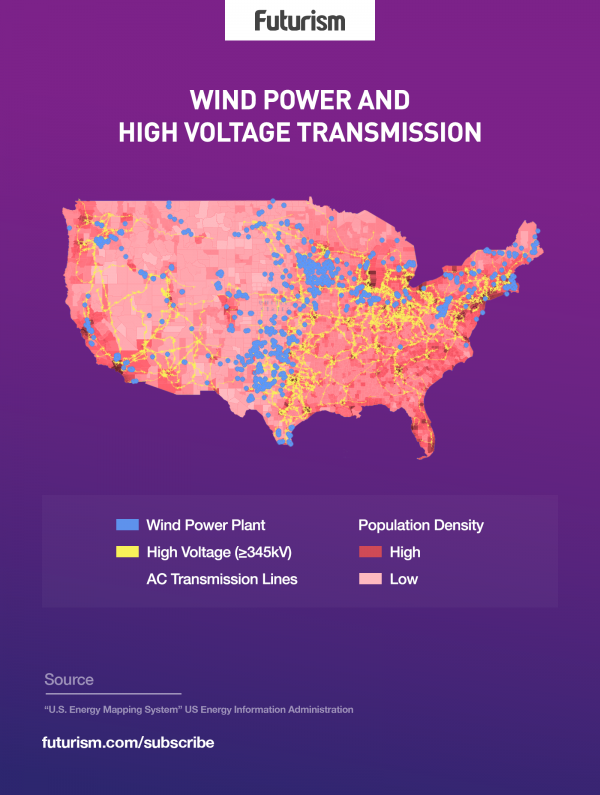 In the near future, the few DC transmission lines which are now scattered all over the country may be connected by nine or more new long-distance lines. These high-voltage DC (HVDC) lines are a reflection of the geography of renewable power trends. Rural areas such as the Midwest now produce a large quantity of renewable energy that urban centers need — and power companies need to get it there. “You have remote resources, and there’s just not enough infrastructure to move that energy to the market,” Clean Line Energy Partners executive vice president of engineering Wayne Galli told Scientific American. His organization plans to build four HVDC lines.